The Agency Medical Directors’ Group (AMDG) mission is to maximize the value, quality, safety, and delivery of state purchased health care. Simplify the administrative burden for providers in Washington’s health care financing and delivery systems. Protect public health: by advancing initiatives and programs that keep people safe and improve their health. Purchase high value care: so public funds are used wisely for high quality care. Implement evidence-based best practices: by using research to produce policies and guidelines on clinical topics that affect everyone. 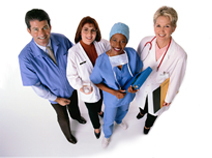 Coordinate state health care coverage and purchasing: to make efficient use of resources. Support and integrate healthcare reforms: that affect all Washington citizens.